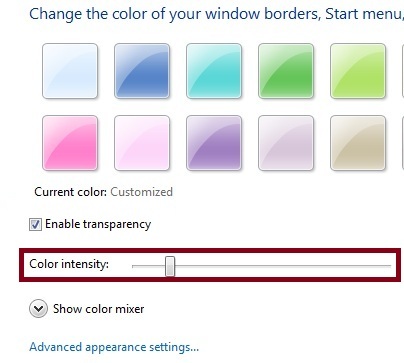 A very quick tip to enable disable transparency in windows 7. 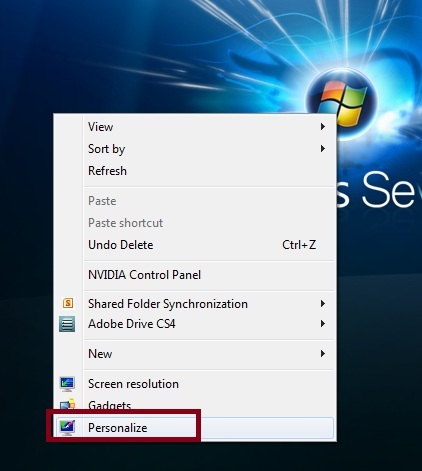 Right click on any empty area on desktop and select “Personalize“. 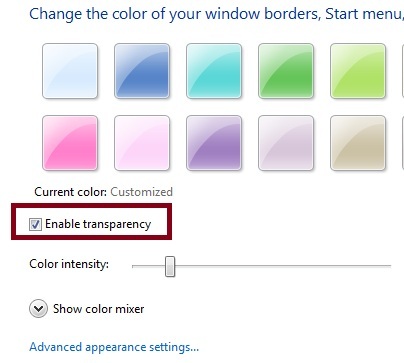 Check box “Enable Transparency” to enable transparency in windows 7. Un-check box “Enable Transparency” to disble transparency in windows 7. 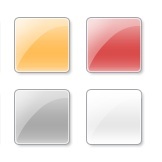 You can also increase / decrease transparency intensity using the slider. Disabling transparency will not disable Aero theme. If your system has low memory, its advised to disable transparency to improve windows 7 performance.